Hi I’m Belinda Nixon, the founder of this Australian travel blog, See Something New. I have worked in some of the most beautiful and remote parts of Australia as a Park Ranger, Environmental Advisor and Tour Guide. More recently I have worked as a Travel Consultant, booking people on their dream Australian holidays. It’s my goal to encourage you to travel and experience some of the beautiful places in Australia. Travelling in Australia is a rewarding and enriching experience and your holiday creates important jobs in Australia’s most remote communities. To get started now use the top menu to find destination information or ask a question on the Australian Travel Forum – I love helping people research their holiday and will help you find the answer to your question! 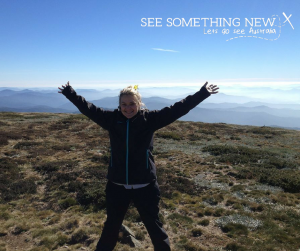 I look forward to hearing your travel tips, stories and recommendations in the comments on the See Something New Australian travel blog! Here’s to a 2017 full of happy Australian holidays and new experiences!